Learning Innovation Home > Who We Are > Sophia Stone, Ed.D. Sophia consults with faculty in education, student learning, and emerging instructional models to promote teaching innovation. Her expertise is in faculty development, instructional design, teaching practices, and online education. She enjoys exploring new ways to collaborate with faculty partners and programs across the university and across all disciplines. Sophia manages a joint program with the Graduate School to prepare PhD students for future careers, the Bass Digital Education Fellows Program, and teaches GS762: Digital Pedagogies. She co- leads the Duke Online Learning Collaborative Special Interest Group, with Beth Phillips, School of Nursing, and is an active member of Duke AHEAD (Academy for Health Professions Education and Academic Development). She values global collaborations and managed the development of Duke’s first international online course with a partner medical school in Moshi, Tanzania. She enjoys presenting at national conferences on teaching and learning. “An Innovative Course Design Model for Professional Learning” The Teaching Professor Conference, 6/2018. “Teaching Global Learners: An Evidence-Based Approach to Collaborative Online Learning” Lilly Conference on Evidence-Based Teaching and Learning, 1/2018. “Town Hall: Institutional Strategies & Innovations” OLC: Accelerating Online Learning Worldwide, 11/2016. “A Scalable Consulting Model for Global Online Course Redesign at Duke University” OLC: Accelerating Online Learning Worldwide, 11/2016. “Global faculty, Global learners: Strategies to develop complex international online courses with cross-institutional teams” OLC: Accelerating Online Learning Worldwide (Best-in-Strand award in the category: Institutional Strategies and Innovations) 11/2016. “Working with Global Partners: Developing MOOCs and Hybrid Courses at Duke University” OLC: Accelerating Online Learning Worldwide, 10/2015. “Preparing Future Faculty for Online College Teaching” OLC: Accelerating Online Learning Worldwide, 10/2015. 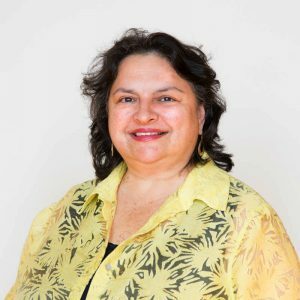 Prior to joining Learning Innovation, Sophia was a Teaching Associate Professor and co-director of the Graduate Certificate Program in E-Learning at NC State University, College of Education. As a Research Associate with the Friday Institute for Educational Innovation, she managed online professional development programs for educators, presented at the Leading Innovation Institutes, and contributed to grant-funded efforts for the Digital Learning Collaborative. Sophia has prior experience in online program management at Duke TIP and in academic librarianship with the NC State Libraries. She holds a B.A. from McGill University, an M.S.L.S. from the University of North Carolina at Chapel Hill, and an M.Ed and Ed.D from North Carolina State University.